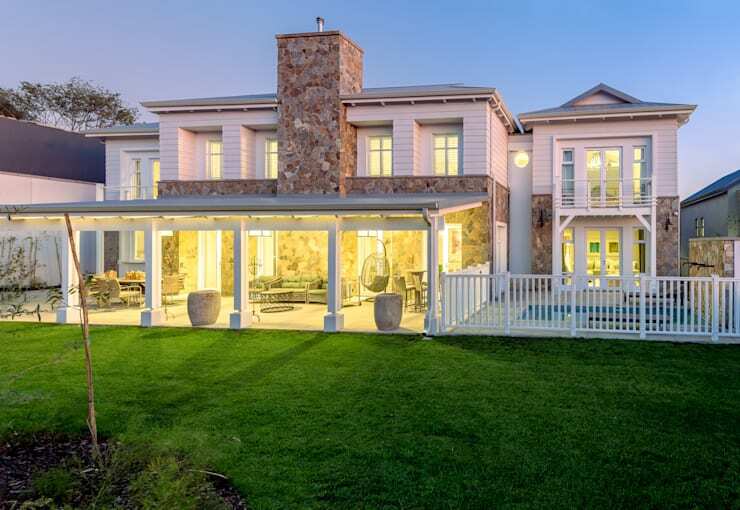 Our latest homify 360° delves into one of Gauteng-based company Gelding Construction Company (Pty) Ltd’s projects: one of two houses chosen for the international launch of Steyn City Parkland Residence in Fourways, Johannesburg. What a picture-perfect setting! The house’s contrasting materials (smooth timber panels and rough stone) add the perfect visual detail, while the commitment to gardening and landscaping has been, quite clearly, perfect. When looking at this image, you might see a shaded backyard porch with an outdoor dining set and seating area that connects with a swimming pool. Know what we see? The perfect spot for some summer socialising! 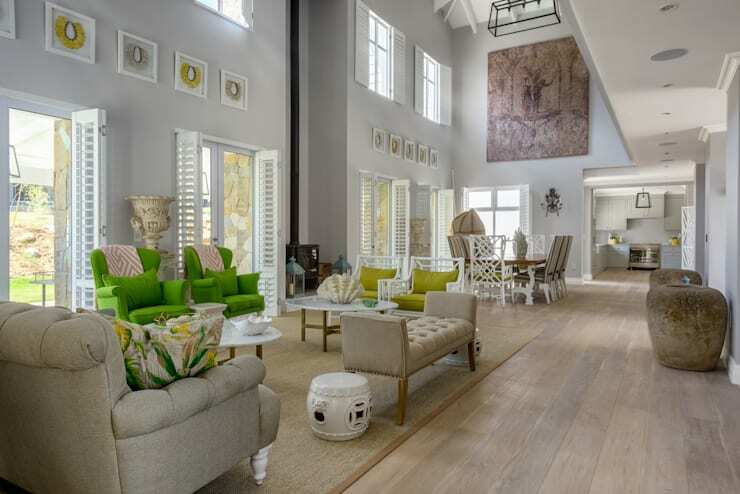 With double-height ceilings, the house’s interiors enjoy quite the spacious look. And just see how the modern-style furniture’s colours and patterns become quite prominent, thanks to the light neutrals of the house’s palette. 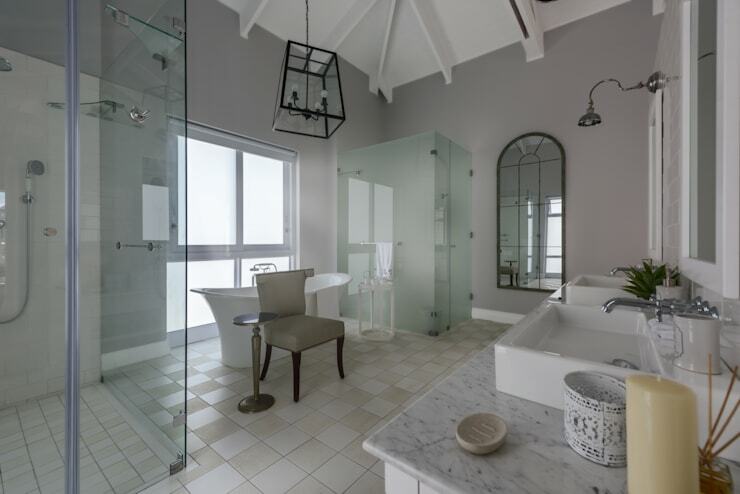 When was the last time you saw a bathroom that looked so… liveable? With an upholstered chair, decadent lighting (both artificial and natural) and ample legroom, this bathroom is not just a space that you need to spend time in – it’s one that you actually want to retreat to. 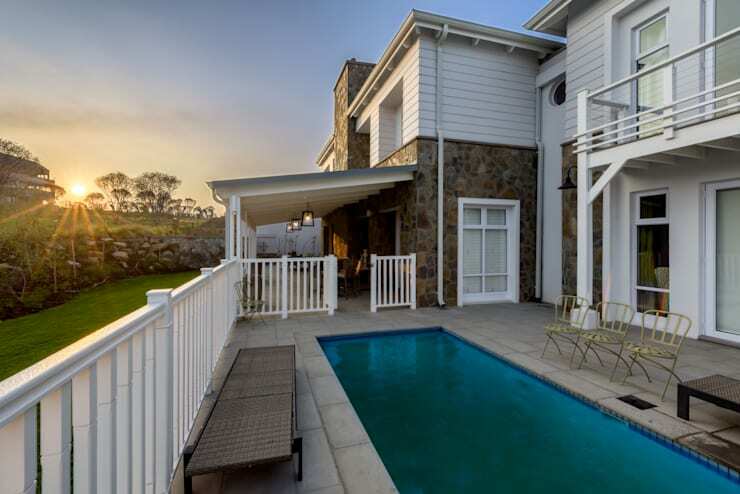 Next up: The Pretoria house that will impress you.